To join the NEEDS surrogate gestational carrier program - and to help aspiring parents make an informed selection of their ideal surrogate - you must complete a comprehensive online application/questionnaire, which includes detailed questions about you and your health. This questionnaire should take roughly 45 minutes to an hour complete online. We also ask that you provide photographs of yourself, which helps aspiring parents in the selection process. The photograph should be in a digital (electronic) format allowing you to easily upload the photo to the NEEDS website. (If you do not have digital photographs, your local photofinisher can create them from prints or - if necessary - you can mail the prints to NEEDS for scanning and loading to the site.) If you decide to apply for NEEDS' program, please review our photo requirements document for detailed instructions before submitting photographs. Except for your name and other confidential identifying information, your completed application and photos will be seen by aspiring parents searching for someone of your characteristics to be their surrogate gestational carrier. Your name will not be revealed to the aspiring parents until you and the parents have met and agreed to proceed with the surrogacy process. To join the NEEDS community, you also must electronically sign consent documents with NEEDS indicating your willingness to become a surrogate gestational carrier and agreement to allow aspiring parents to review online your photograph and your application (again, you remain anonymous - your last name and identifying information will not be revealed to aspiring parents until you meet and agree to the surrogacy process). NEEDS will review your application to pre-qualify you as a surrogate gestational carrier, and may also conduct an interview with you. We also must receive your electronically signed Consent Documents. Once pre-qualified, you will be notified via e-mail of your acceptance into the NEEDS community as a prospective surrogate carrier. Your application and photograph will then be available online, in a secure location on the NEEDS website, for review by aspiring parents whose online search for a surrogate indicates that you offer the characteristics they seek. Selection of a surrogate carrier is an extremely subjective process. Aspiring parents typically look for a surrogate who is healthy and stable as well as someone they believe they can comfortably work with through the close, emotional process of surrogate pregnancy. There's no guarantee of when you will be selected as a surrogate carrier. It is possible you could be chosen in one week, one month, or one year from the time you complete your application and have been accepted into the NEEDS surrogate gestational carrier program. Once you are selected by the aspiring parents, you will be immediately contacted by NEEDS to notify you of their interest and to confirm your willingness to be a surrogate. Brief biographies of the aspiring parents may be sent to you for your review. You will be free to ask additional questions of the aspiring parents after reading their brief profile. A telephone conference call will then be scheduled with NEEDS, the aspiring parents and you. If the telephone meeting is successful - if you, your partner, and the aspiring parents remain interested in proceeding with the process - then NEEDS will ask the aspiring parents to complete their paperwork with NEEDS. Once the paperwork is completed, the identifying information on all parties will be released. The aspiring parents will be encouraged to schedule a face-to-face meeting with you and your partner to further get to know each other. Once you are chosen by aspiring parents as their surrogate carrier, you will be asked to meet with a licensed psychologist for an assessment of your mental and emotional readiness for the surrogacy process. This evaluation will be paid for by the aspiring parents. 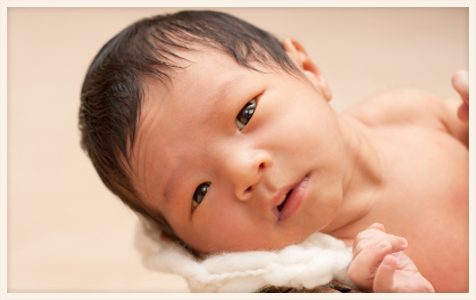 The fee for the service of carrying and delivering the aspiring parent's biological baby is determined by you. Although being a surrogate is a priceless gift, most surrogates request - and most aspiring parents expect to compensate - $25,000 for a single birth and $30,000 for twins, in addition to expenses. Once you agree upon a fee with the aspiring parents, they will present a contract to you. (Note that the contract involves you and the aspiring parents - not NEEDS.) You will then meet with an attorney of your choice, paid for by the couple, who will review the contract with you and negotiate any changes before you sign. The medical procedure for the surrogate gestational carrier is similar to having a pap smear and in most cases is pain-free. Your menstrual cycle and the menstrual cycle of the biological mother will be synchronized using daily injections of Lupron. You will also be taking Estrogen prior to ovulation, and the mother will be taking daily injections of fertility drugs. The development of her eggs will be monitored by daily blood work and ultrasounds. The thickness of the lining of your uterus will be evaluated using blood tests and ultrasounds. Three days after the eggs have been retrieved from the biological mother and fertilized with the sperm of the biological father, the physician will transfer the embryos to you. The procedure feels similar to a pap smear and is completed under sterile conditions. Depending on the physician, you may then begin progesterone injections. A pregnancy test will be taken in approximately 10 days after the transfer of embryos to you. Once pregnant, you will carry the aspiring parents' baby (or babies) to term, maintaining a close, personal relationship with the parents throughout the process until delivery. Register Now for becoming a Surrogate.